I know what you’re thinking…. social media advertising isn’t important. I mean, why should you waste time cultivating a following just to build brand recognition or get your message to a large group of people you’re targeting? That is just the tip of how Facebook advertising can help your business. Social media can and will cultivate website views, appointments and downloads of website content. How? 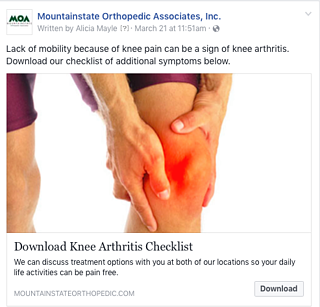 Read on to learn more about what Facebook advertising is and how to utilize it in the Pittsburgh area. Facebook is still one of the most popular social media platforms among adults. According to Pew Research, 79 percent of adults are utilizing Facebook to connect with their friends and family, to get their daily news and to look up companies they’re considering buying from. When an advertisement is being built out, there’s a lot that needs to be considered, like what’s your content, who is your audience, how much do you want to spend and for how long? Why are these aspects important? Next, we should be looking at our content. Should we be posting educational content? What about written testimonials? Should we be using video testimonials or video content? To run an effective advertisement, an A/B test can be run in the beginning. Recently, IAM has ran two advertisements with different pieces of content but with everything else the same (budget, audience, etc) to see which piece is preferred. We have found that downloadable pieces of educational content have worked the best with our types of audiences, and then 30-45 seconds videos do second best. Knowing this piece of information is crucial to not wasting your budget and reaching the absolute best audience for your product. When beginning to plan out an advertisement, you should think about how many advertisements you’re going to run in that month. Is it one or two? Will you be running one everyday? Right now, the larger the budget you have, the bigger the reach of audience. The goal is to decrease the amount of money spent and increase the number of audience seeing your advertisement, but to do that, you have to be willing to go in with a larger budget to start testing what works and what doesn’t. Scheduling is also highly important. When we look at our audience, we want to tailor our advertisement to when our target audience will see them. For example, if we’re looking at parents, we want to show our advertisements before they go to work, when they’re on their lunch and before and after dinner. Anytime that we believe they are on Facebook. Then, we should also look at how long we schedule them for. Are we running the Facebook advertisement for four days? A week? A month? We recommend running an advertisement for two weeks; however, it’s more than just doing that. A Facebook advertisement is like a piece of fruit. The first day is ripe and refreshing and as the week goes by, it goes downhill. With fruit, you have to throw it away. With an advertisement, you can change it and refresh it. It can be forever new. It just takes time and effort. Metrics You Can Find in a Facebook Advertisement? According to Facebook Business Manager, reach is the number of people who saw your advertisement at least once. Do not be mistaken, reach is far different from impressions. Impressions are views of the advertisement by the same people. Result is the number of times your advertisement achieved an outcome based on the objective you’ve selected when making the advertisement. According to the Social Media Examiner, marketers agree that Facebook has the best ROI. Ultimately, we want to get link clicks. This is where a person clicks on our advertisement, and that link takes them to the client’s website. Usually, there’s a downloadable piece of content on the page or somewhere to get their information. This gives our client the entry to have a conversation with this contact and then to hopefully convert them into a customer. Link clicks are important because we want to decrease the money spent but increase the amount of link clicks. This can relate back to the piece of content. Is it compelling? Is there an incentive? The biggest metric to look at is how much money is being spent per link click. For example, if our advertisement is for a downloadable for comparisons between law firms and it received 100 link clicks and we spent $30, we have spent $0.30 per link click. This is great. That is our goal. Pieces of content have to be relevant. Facebook rates your content on a scale of 1 to 10 of relevancy. This estimates how well the audience is responding to the advertisement. This score is shown after the advertisement has gotten over 500 impressions. Having a rating of 10 is the goal. 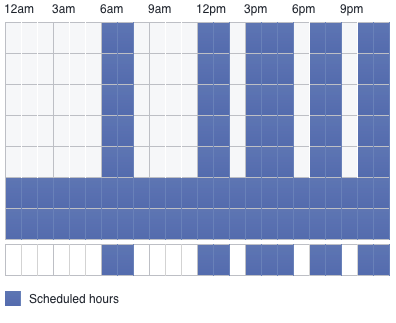 There are a lot of metrics within Facebook Business Manager. They are all important, and it is crucial to understand them all. At InnerAction Media, we take social media seriously because we understand that an audience can be reached massively for a budget that is small. We know what works and what doesn’t when it comes to content, building audiences and scheduling. If you need help with your social media, give us a call. We would love to talk about how you can reach your audience in a specific area like Pittsburgh.